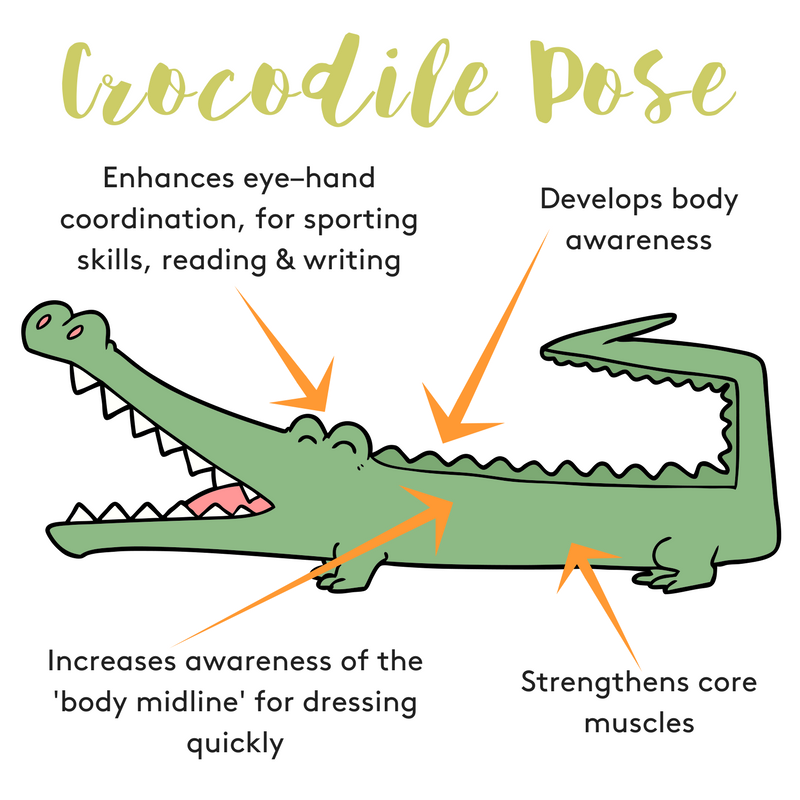 NOTE: Before starting crocodile pose with your child, if you have any issues with your muscles or joints, please check with a health professional to ensure this pose is appropriate for you. If you know your back is vulnerable, be very careful and only do the ‘snapping’ actions on your side! Find a space on a carpet or mat where you and your child can safely stretch out and roll as crocodiles, then take off your shoes and socks. Lie on your tummies facing each other and gently smile, show off your crocodile teeth! Stretch your arms out in front of you, keeping your hand palms together – roll over onto one side. Once on your side, stop and balance in this position – you will be giving both your tummy and your back muscles a good workout. Move your arms apart a little way, keeping elbows straight, then bring the palms of your hands together to ‘Snap’ like a crocodile! Repeat this 3 times. Make scary, snapping, crocodile sounds or count the number of snaps you do. Then roll over and do three snaps on the other side. Repeat the whole game 3 or 4 times more. Importantly, to keep backs healthy, finish the game by rocking back on your heels and curling your body forwards into a variation of mouse pose. Stretch your backs the other way. Be a crocodile snoozing behind a rock! This is an example of ‘counter posing’ and ensures the body, specifically the spine, is stretched in balanced way. Try it it feels lovely! As you child snaps for the fish (see below – ‘a more challenging crocodile pose’), they will be refining their both their eye-hand co-ordination and their visual tracking skills. Not only are these skills useful for sports they are also key for reading and writing. 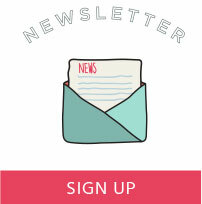 Crocodile pose gives your child an opportunity to update and refine their body memory. As your child grows, it’s important they build and keep an accurate memory of their body shape, knowing where their body starts and finishes. This mental map tells your child how their head, body, arms, fingers, legs and toes work together. A refined body memory gives a deep inner body confidence – enabling your child to tackle a wide range of tasks in different situations. 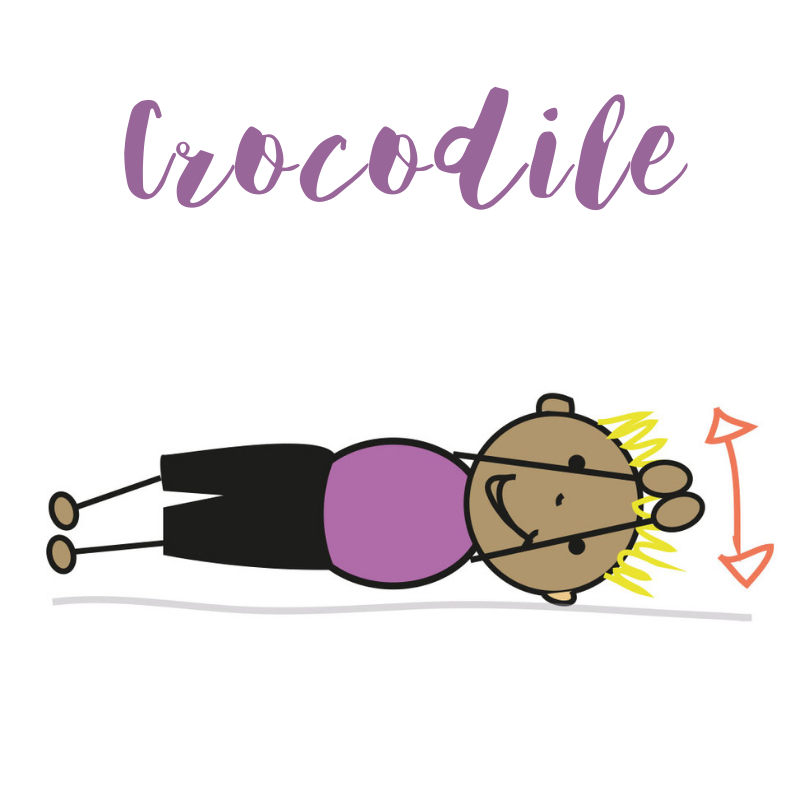 Crocodile pose challenges your child to work their core muscles (shoulders, back, tummy and hips). Strengthening and increasing awareness of these muscle groups will improve your child’s sitting posture and help their hand skills. As your child brings their hands together to ‘snap’ as a crocodile, they will be increasing their awareness of the midline of their body. As zips and buttons tend to be placed in the middle of clothing – crocodile pose can help your child with their dressing skills. Imagine you are a crocodile in the river, catching a fish. Cut out a ‘fish’ shape out of card or craft foam and thread a piece of string through one end. Make sure your fish is big enough so it is not a choking hazard for your child and never leave your child unattended with the fish prop. As your child does crocodile pose on their tummy, dangle the fish in front of their out-stretched hands and encourage them to reach up and snap at it! See if your child can catch the fish between their hands. This great activity helps your child improve their eye-hand co-ordination and is fun as well! Lie on your tummy lift your head, shoulders and arms off the floor and do a SNAP out in front. Then rest your arms down on the floor. This activity is harder as you have to lift both your arms off the floor – and arms are heavy! So do be careful and if anything hurts stop. Note to parents: if you are doing this more challenging crocodile pose with your child, tighten your buttocks before lifting your arms off the floor. This will help you to use the correct muscles and not strain your back. If your child is younger, start crocodile pose by showing them how to lie on their side. 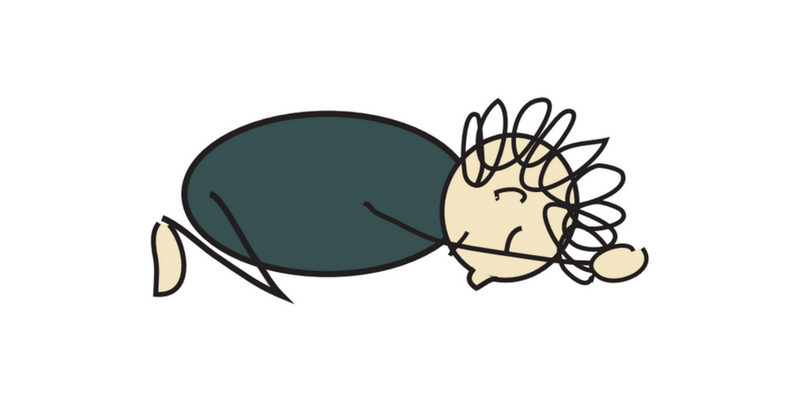 Then encourage them to join you lying down, so you are facing each other. In this position you can gently guide your young child’s arms into a snapping action. Once they have the idea – they can then do the snaps by themselves, copying you. Younger children may find it hard to snap with their arms above their head. If this is the case, encourage your child to stretch their arms out in front at shoulder level instead and then snap. 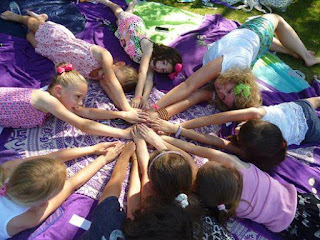 You can even try crocodile pose with friends and family in a group circle, snapping together!